I started working on this piece intending to experiment with it as a background for something else, and then on a whim I added a sprinkling of pink Himalayan salt to the damp page. The end result is a creepy, beautiful scene that made me think of a green world floating in dark space, with dark matter engulfing it. The salt sparkles subtly in the sun, and in fact I have a detail photo of all the subtle texture as my computer wallpaper right now. 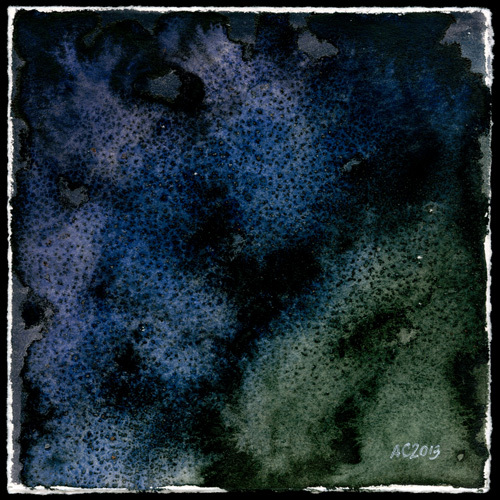 Dark Matter, 5″x5″ watercolor and salt on paper, $199 with free shipping. 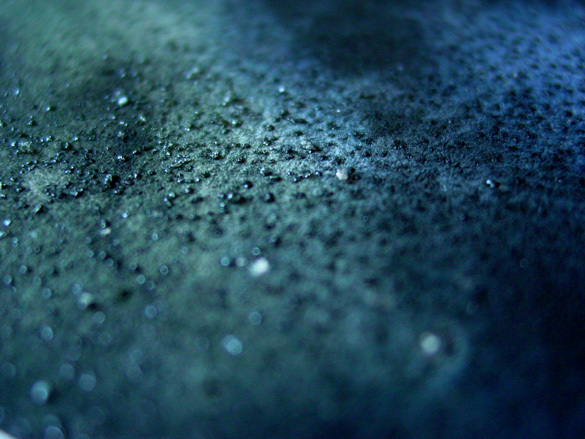 Above, you can see the textures of salt and paper and paint together, the dark colors and tiny glimmers of salt. 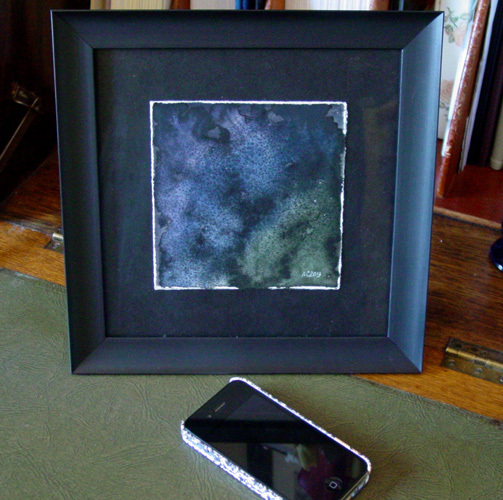 Below, you can see the piece in a frame, matted on black to help emphasize the wabi-sabi textures of the hand-torn paper edge.